It is a great honour to know that a Pluhar Violin is also being played in the Vienna Philharmonic Orchestra. 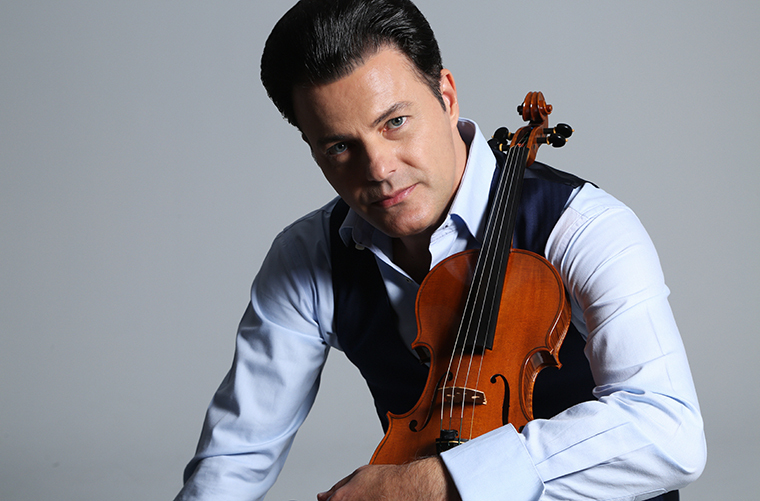 Shkelzen Doli chose my violin and values it as one of the best modern ones he has ever played. It is based on a Stradivari model from 1704 and is one of my most succesful forms with a charcterful sweet, projecting sound. The Vienna Phlharmonic Orchestra is one of the finest orchestras in the world with a tradition reaching back to 1842. It has worked with the great composers of the 19th and 20th centuries including J. Brahms, A. Bruckner, G. Mahler and R. Strauss to name but a few. In addition to performing the symphonic repertoire, the musicians of the VPO are also members of the Vienna State Opera, which gives them the experience of performing a very wide range of the musical repertoire. This includes the New Years Concert which is live broadcast to nearly 100 countries in the world with millions of viewers. I was thrilled to see my violin on TV being played by Mr. Doli in the Vienna Opera Ball recently.